Businesses and companies located across the country can outsource help desk services to Forward Slash Technology. As a local St. Louis IT company, we offer live and local help desk support from 7:00 AM to 6:00 PM. We are also available for support on a 24/7/365 basis if needed. When you outsource help desk services to Forward Slash Technology, we can resolve any computer or network issues that you may encounter. Our help desk services are typically performed online or by phone, and can include the use of remote access tools when necessary. Remote access allows our help desk staff to access users workstations and to see what the end user is seeing in order to resolve problems. Outsourcing help desk services to Forward Slash Technology can allow you to quickly resolve issues and handle all computer and IT related problems. We also provide on-site services for problems which cannot be solved over the phone. Our managed services include help desk, antivirus, antimalware, audit & inventory, patch management, network monitoring, backup systems and software deployment. To learn more about our help desk services or if you are interested in learning how you can outsource help desk services to Forward Slash Technologies, contact our IT company. Help desk outsourcing is the process of utilizing an external company to support and assist your company in troubleshooting various types of network and computer problems that may occur. When you outsource help desk services, you will typically communicate with the help desk support team by phone, email, or instant messaging. At Forward Slash Technology, we offer live, local help desk support services to businesses located throughout the country. Our help desk services help small and midsized companies to receive the expert help desk and technician services that large companies have available. Our outsourced help desk services are available for live help during extended business hours for your convenience. 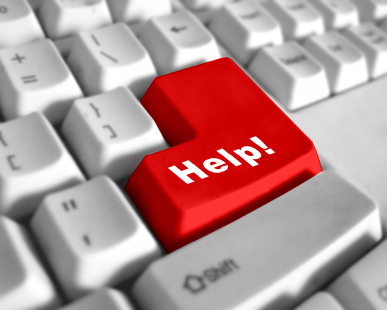 When you outsource help desk support from our IT professionals, our live help desk staff is available by phone. We can also use remote access services to access any user's workstation and see exactly what the user is seeing in order to quickly and efficiently resolve problems. Receive Live and Local Support: Because we are a local St. Louis company, when you outsource help desk services to Forward Slash Technology, you will deal with a staff of local IT professionals. Our local help desk services can give you the personalized and professional service you desire. Reduce or Eliminate Need for In-House IT Professionals: By outsourcing help desk services to an IT company, you can reduce or eliminate the need to hire IT professionals. This is great for small businesses working with tight budgets. Larger companies can outsource help desk services in order to allow their IT departments to focus on more important issues and larger projects. Benefit from Skilled Professionals and Complete Knowledge: Our help desk allows you direct access to highly trained and skilled IT professionals. 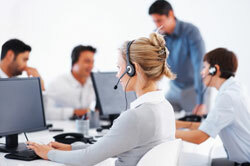 Our knowledgeable help desk staff can quickly and efficiently resolve problems and issues. In fact, we find that most problems can be resolved over the phone or with instant messaging. Utilize Remote Access to Resolve Issues: When issues cannot be resolved by simple, over the phone instructions, our help desk staff can use remote access to a user's workstation in order to resolve issues. When you outsource help desk services to our staff, you will find that most desktop PC problems and network issues can be resolved as easily as if our consultants were standing right beside you. To learn more about our IT help desk support services and to learn if your company should outsource help desk services, please contact our IT company.